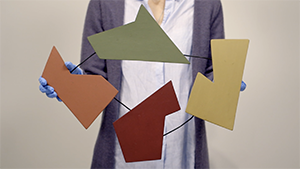 In conjunction with the Getty Trust’s ambitious 2017 initiative, Pacific Standard Time LA, LA, a trio of videos were produced to accompany the exhibition Making Art Concrete: Works from Argentina and Brazil in the Colección Patricia Phelps de Cisneros. 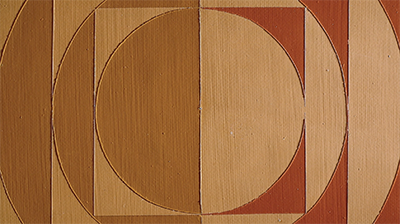 The three videos (Breaking the Frame, Painting in an Industrial Age, and The Challenge of a Straight Line) explore how artists from Brazil and Argentina expanded the international language of geometric abstraction in the years after World War II. The videos artfully and playfully explore conceptual and visual themes through the use of computer animation, demonstrated techniques, scientific analysis, and digital storytelling that bring this relatively unknown context to life. The video Breaking the Frame shows how these artists broke from linear perspective to create art in unique shapes, initiating the Concrete Art movement in Latin America. Their art objects are irregularly shaped, often push out from the wall, and thus dissolve the distinction between painting and sculpture. Computer animation illustrates the inventive techniques used by these artists, and the medium of video allows visitors to see all sides of these innovative three-dimensional works. The video Painting in an Industrial Age looks at the extensive range of industrial paints the Concrete artists used to create perfect surface finishes or dazzling juxtapositions of glossy and matte paints. This array resonates with the context of rapid industrialization going on in Argentina and Brazil. 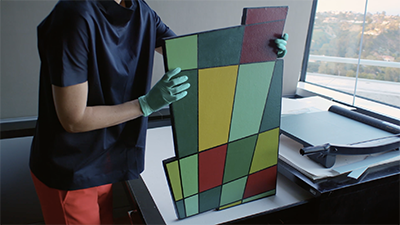 The film also features the scientific research the Getty Conservation Institute and the Getty Research Institute conducted to determine the chemistry of these commercial paints. 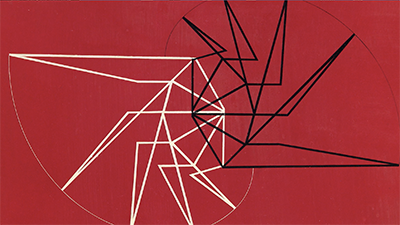 The video The Challenge of a Straight Line uncovers the obsession Argentine and Brazilian artists had with creating straight edges. They deployed several techniques to make straight lines that look industrial but are really hand-drawn. 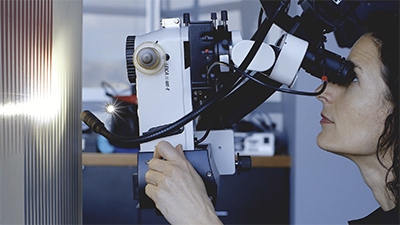 In addition to re-creations of these techniques, the video includes extreme close-ups so viewers can see evidence of the human hand and explore the unique geometry that characterizes these art works.